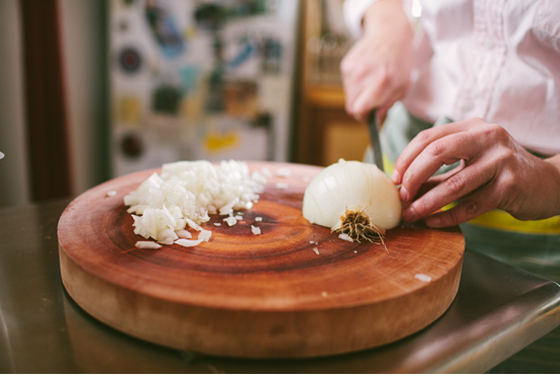 Begin by dicing the onion and sautéing them with the ½ tablespoon butter. Before the onions are all the way translucent, add the lamb and stir and mix to make sure things are being cooked evenly. Continue to cook until almost all the fat has rendered from the lamb. After you feel things are cooked well enough drain the lamb fat and liquids as best as you can. Then mix in the Baharat and let cool. 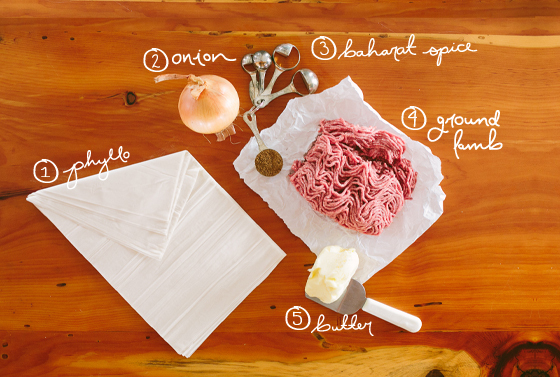 Next melt the butter in a separate pan and prep your work station with the room temperature phyllo on a cutting board. 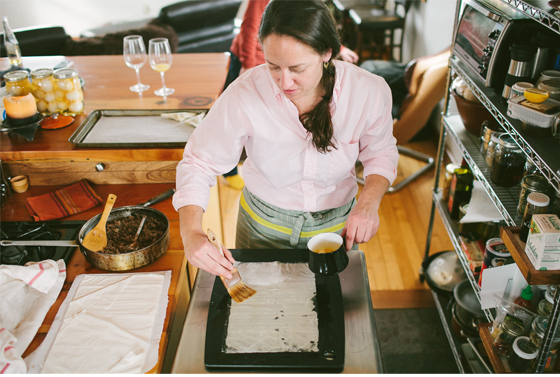 Gather a barely damp dishcloth, a paring knife, a pastry brush, and a cookie sheet lined with parchment. 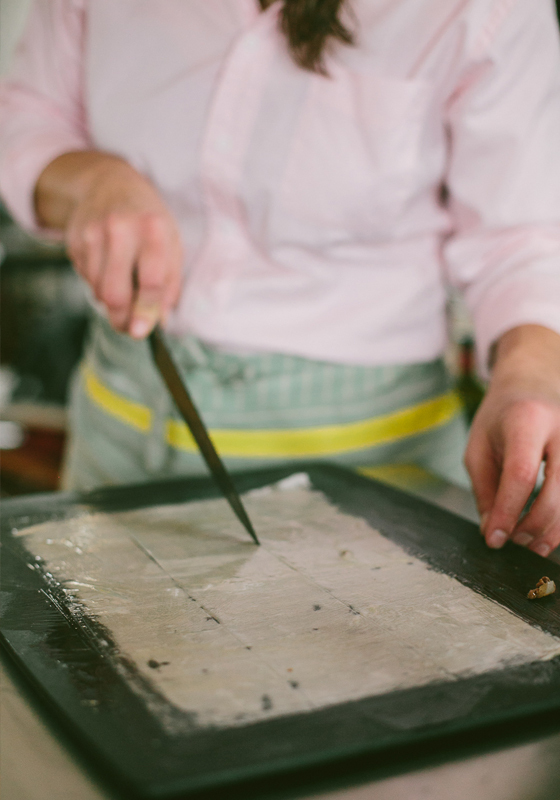 Unroll the phyllo dough carefully. 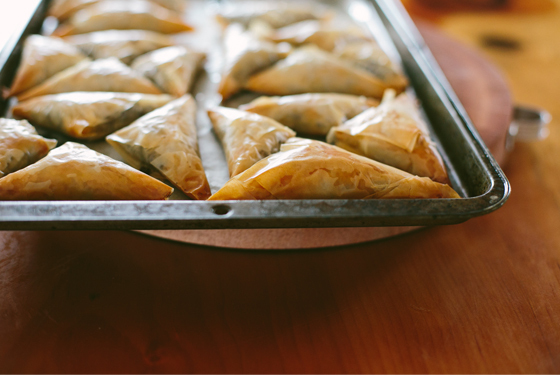 Pull 1 sheet of phyllo and place it flat on the cutting board. Then brush with pastry brush that has been dipped in the melted butter. Place another sheet of phyllo and brush with butter and if needed or desired add a third and brush with butter, but two is preferred. Cut the dough long ways in to 2 pieces. You can do three pieces if you want them to be even smaller it is completely up to you. Then with a soup spoon ladle the meat on to the bottom of each piece of the phyllo strips. 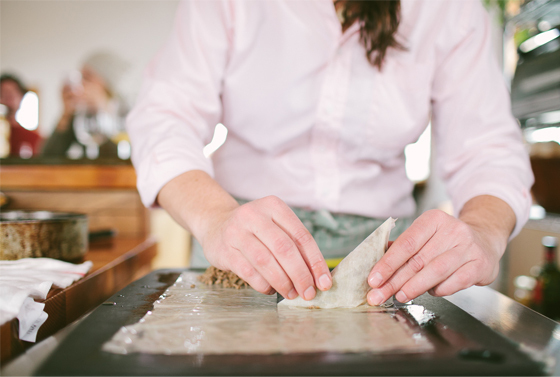 Next you fold the pies in to a triangle by working away from you using a flag fold. This will keep them closed and tight and easy to transport or hold. Place the final fold down on the cookie sheet. Continue to fold and place the pies until our tray is full. Turn the oven to 375 and bake pies for 15-20 minutes or until the phyllo is browning. Let cool slightly on a cooling rack and place on a tray to serve. Happy Thursday you all! Hope your week has been wonderful thus far!! These look amazing. I admit, I have had an unreasonable fear of phyllo pastry up until now but I think I’m finally brave enough to give it a try. I’ve always wanted to know how you get those perfect little pouches! They look so delish. Oh wow, these look great! I’ve never cooked with ground lamb before. Never really saw a recipe for it before. I might have to give these a try. Wow, I love this idea! It’s so versatile, too. I think I’m going to make a version this weekend, thanks for the tips! This recipe is screaming to me as something I have to try! 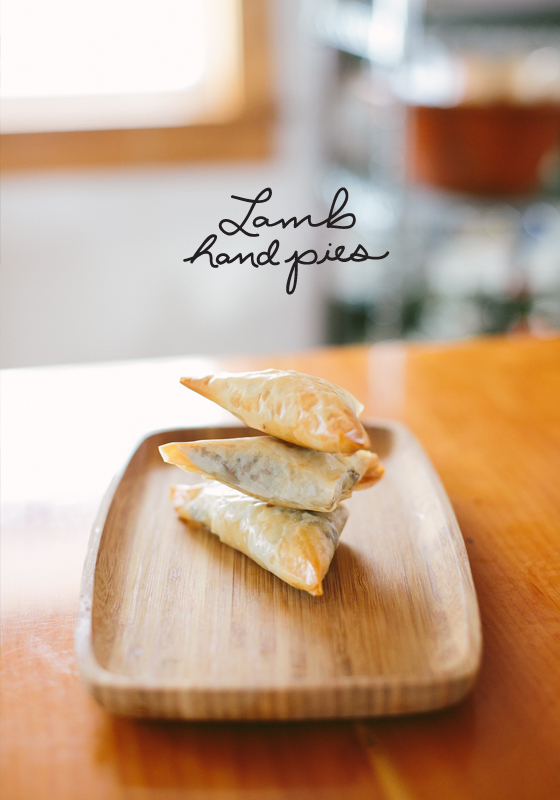 I love phyllo dough and I love lamb! I have to see if my whole foods has the spices! I can’t believe there is only 5 ingredients! Wow! These look so good! I love this Just 5 Series, Megan. 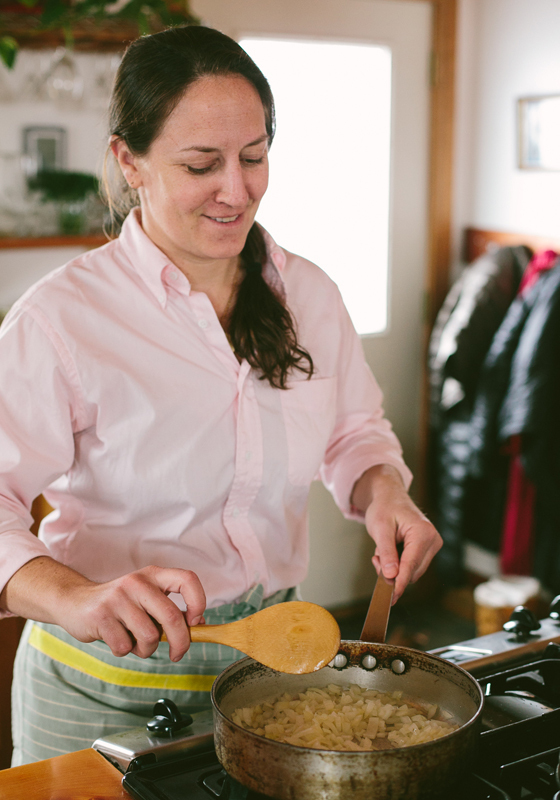 I am enjoying the idea that good food can be made with just 5 simple ingredients!